Mention ‘open data’ to most people and, if it means anything at all, surveillance, security, technology, calculators spring to mind. Open data is in fact a massive well of published information that we’re only just starting to explore the possibilities of its re-use. Just one way Leeds City Council is trying to make open data more accessible is through a new ‘Dashboard’ which will show specially designed ‘stories’ (or widgets) created using data and innovative design to explain a particular narrative in an easy to understand way. We believe increasing amounts of open data could be a fantastic resource for the city’s ‘storytellers’, those at the forefront of getting information out to the general public through print and online media, social networks and council representatives. 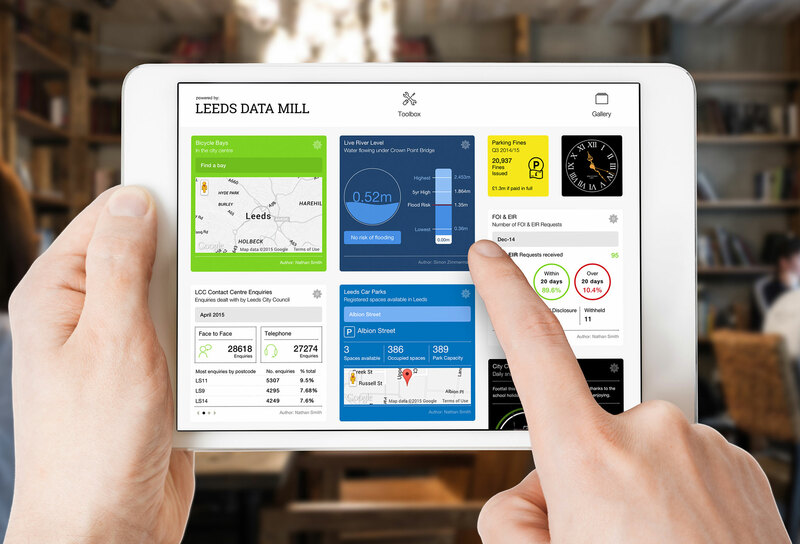 Leeds is one of the most advanced cities in the UK in its commitment to using open data to help solve some of the city’s problems, and to make it an even better city than it is today we want the Dashboard to be a resource that anyone can easily use. We wanted to know what ‘stories’ would be of interest and beneficial to the ‘storytellers’ using the wealth of data which has already been made available. Leeds is unique in looking beyond the confines of city council data and is working with organisations from across the city and beyond. Data published on Leeds Data Mill has been supplied by a variety of organisations from the public, private and third sectors. Leeds City Council’s Stephen Blackburn produced extensive lists of data sets currently available and through much discussion, the group identified several new ‘stories’ that they hoped could be progressed for the dashboard. These included, schools admissions information, air quality, visitor numbers to the city, arts funding and commuting. Stephen in now working with data owners and Hebe Works to get more data released, and produce more ‘stories’ for the Dashboard.